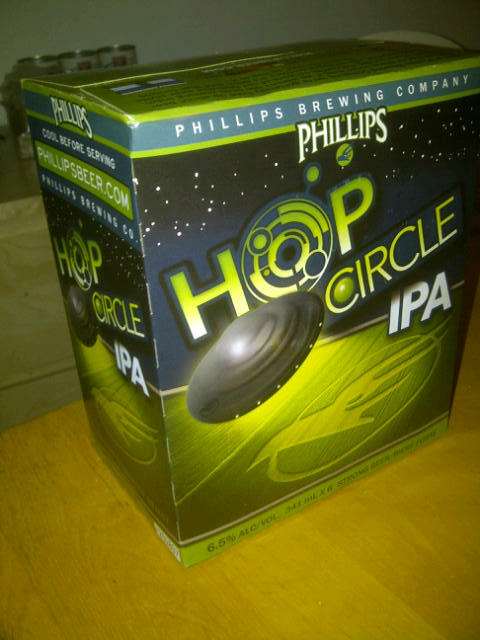 From Phillips Brewing out of Victoria BC comes the “Hop Circle IPA” availible in 6 packs of bottles. This beer pours a golden colour with a off white head. The beer smells of some malts but mostly consists of a heavy floral hops. The flavor of this beer is hops forward (well forward, middle and back but I digress) with some hints of citrus and pine. This is one hopy beer for sure! The beer sits at a 6.5% alcohol and a high IBU that I can not determin. 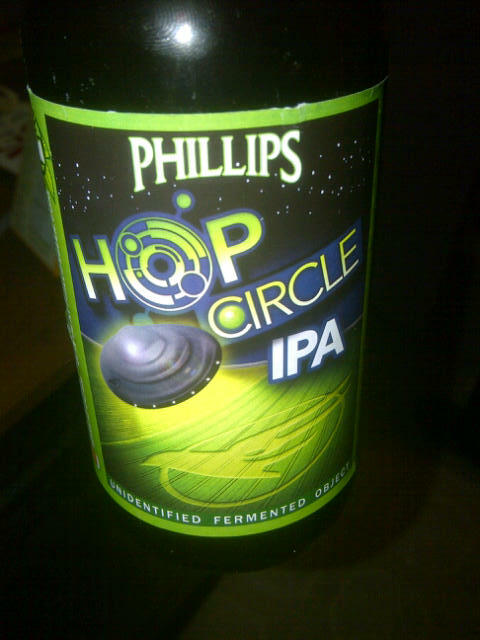 This entry was posted in India Pale Ale and tagged bc, bitter, bitterness, canada, citrus, hop forward, hops, hopy, india pale ale, IPA, malt, malts, victoria.